Skype is software that enables you to make free calls anywhere in the world. Connect iChat to Skype to chat with your iChat contacts who also use Skype on their computers. 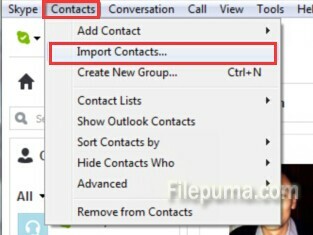 One of Skype great features is it allows you to “import” contacts from several different sources into your Skype buddy list. So connect iChant to Skype is to imported contacts from Apple Address Book, and then you’ll be able to communicate with them using Skype. Here is the instruction for you. 2. Choose the “Apple Address Book” tab and type in your Apple ID, password. Continue. 3. Check the small boxes next to the users who appear within Skype, select “Import” to send each of them friend requests. 4. Wait for a while until your iChat friends appear in your Skype buddy list. Now you could initiate a conversation with your friends freeluy and happily!.